Beautifully fashionable in a rainbow of colors, this versatile CHARM IT! 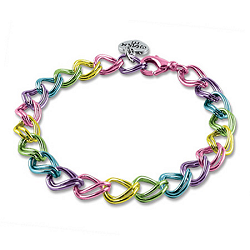 Rainbow Double Link charm bracelet looks awesome no matter your age - girls, teens, and "in-be-tweens." (Even us moms love to get in on the fashion fun.) Quickly and easily add CHARM IT! charms to this colorful CHARM IT! 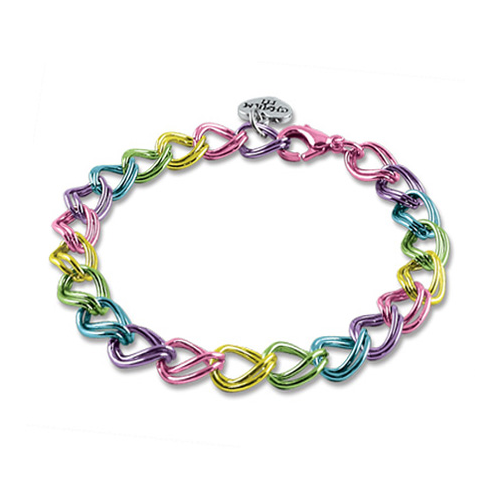 rainbow double link charm bracelet with the simple snap of a clasp.